AMPCO® 483 is a wrought aluminum-nickel-iron-copper alloy exceeding the minimum requirements of ASTM. The material is recommended for heavier-duty applications involving wear and fatigue. Uses include: cams, bushings, bearing retainer cages, valve stems and guides, sleeve bearings. AMPCO® 483 alloy will maintain mechanical properties at temperatures up to 315ºC and has a machinability rating of 20%. 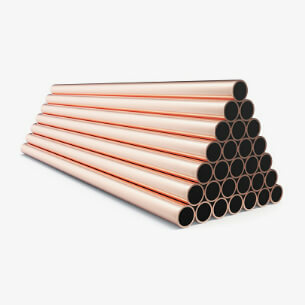 The alloy provides excellent corrosion resistance to sea water and non-oxidizing mineral acids. It can be welded with both the gas-shielded and shielded metal-arc processes. Brazing, soldering and oxyfuel gas welding are not recommended. AMPCO® 483 alloy can be hot worked at temperatures from 705º to 926ºF and annealed between 705º and 880ºF. The alloy has a forgeability rating of 75%. 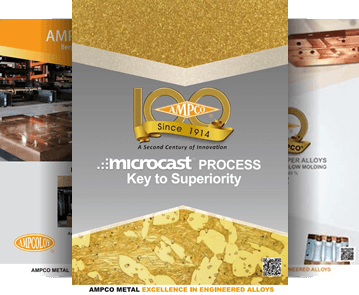 The consistent superiority of AMPCO® 483 alloy over commercial bronze is due, in large part, to the unique distribution of alloy microstructure, often referred to as the “AMPCO®-Phase.” Only AMPCO® alloys offer this metallurgical advantage.